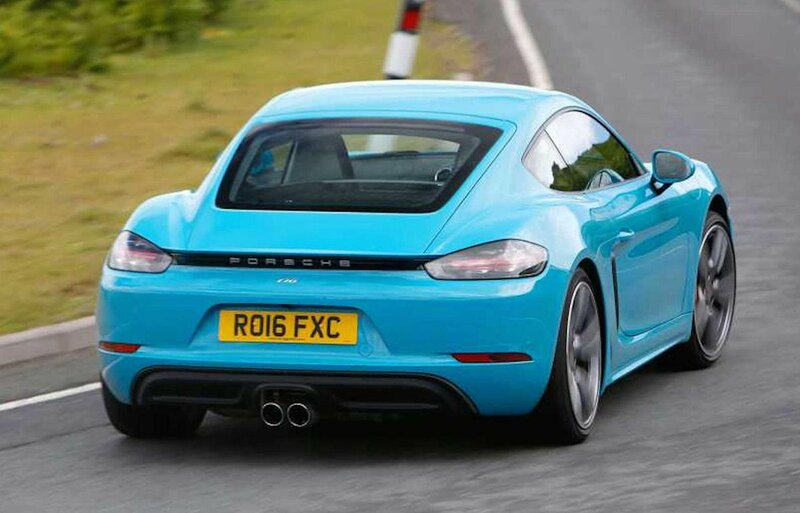 Porsche 718 Cayman Performance, Engine, Ride, Handling | What Car? Choosing an engine is relatively straightforward. There are just three; each is turbocharged and has four cylinders. The cheapest option is a 295bhp 2.0-litre petrol, while the S model gets a punchier 345bhp 2.5-litre unit. Yet even the standard 718 Cayman can do 0-62mph in 4.9sec when you fit the optional seven-speed PDK automatic gearbox (or 5.1sec with the standard six-speed manual 'box); the S model drops that to as little as 4.4sec. As you'd expect, then, both engines pull hard once the turbocharger starts to do its business at around 2000rpm, but get the revs above 3000rpm and you’ll enjoy the meat in the sandwich – that's hugely potent acceleration right through to over 7000rpm. There are a few unwanted flat spots in the power delivery, though, especially in the more potent S variant. 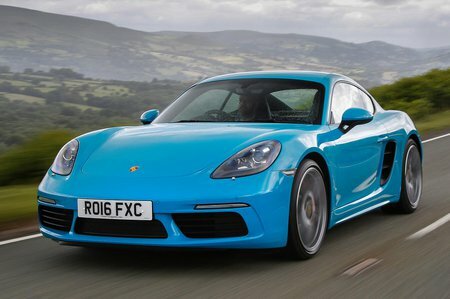 Then there's the top-spec GTS model. Despite using the same 2.5-litre engine as the S, those flat spots are less noticeable so it accelerates more smoothly and consistently. This unit is boosted to produce an extra 15bhp, but don't expect a dramatic uplift in pace; fitted with a manual 'box, the 0-62mph time is identical to the S model's, although adding the optional auto 'box does make it a tad quicker at 4.3sec. The six-speed manual gearbox is more entertaining for keener drivers, but its long gearing means you’ll rarely need more than second and third for spirited – but still legal – driving. A seven-speed PDK automatic gearbox is optional and is worth considering for those expecting to do a lot of slogging through traffic. We’ve only tried Caymans equipped with optional adaptive dampers (called Porsche Active Suspension Management, or PASM) and 20mm lowered sports suspension. In this form, it rides remarkably well by sports car standards – even on 20in alloy wheels. Sure, it's firm, but the damping is good enough to keep you from ever feeling uncomfortable. Only constant road imperfections really expose the stiffness of the chassis, but even then it still offers a great balance of comfort and control. The 20in wheels and lowered suspension are standard on the GTS car. For the rest of the range, avoiding the lowered suspension and sticking with smaller wheels will undoubtedly bring a softer ride, which may suit those expecting to tackle fairly rough roads regularly. Any sports car worth its salt needs to offer handling excitement in spades and the Cayman certainly doesn’t disappoint. Its steering is wonderfully accurate and precise, with enough feedback to give the driver plenty of confidence. Turn in to a bend and there’s virtually no body roll and an enormous amount of sideways grip. Put simply, the Cayman’s handling is on a different level to rivals such as the Audi TT, BMW M2 and Jaguar F-Type Coupé, with only the lightweight Alpine A110 coming close. 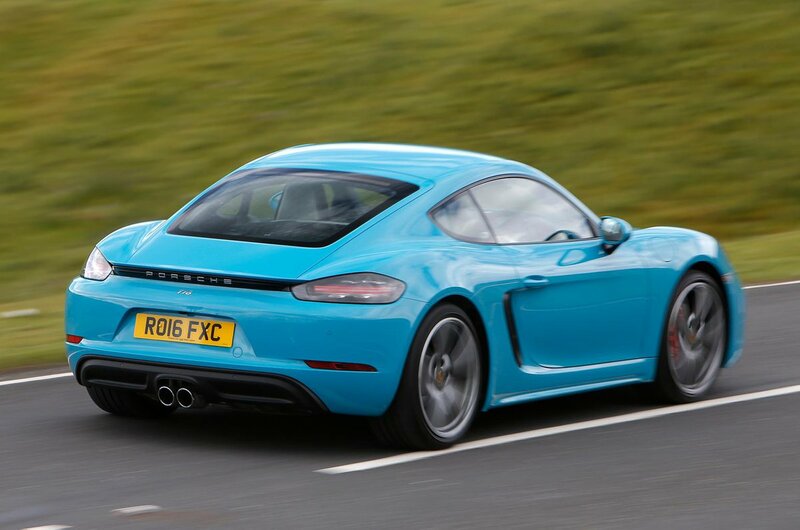 The Cayman also has a wonderfully broad range of talents. It feels just as at home on fast, sweeping corners as it does pottering around town, where the steering is light enough to make parking easy. If you’re the owner of an older six-cylinder Cayman (before it became the 718), you’ll be very disappointed by the sound of the engines in this current iteration. A monotonous drone, not dissimilar to that in the original Volkswagen Beetle, has replaced the glorious howl that used to characterise Porsche’s entry-level sports car. And the sports exhaust (optional on all but the GTS variant) makes it no better; it's the equivalent of turning up the volume when a song you really dislike comes on the radio. There’s also an unappealing coarseness about the standard 2.0 and S models. This is particularly noticeable at low revs, although the GTS variant is slightly smoother. While the four-cylinder engines in the TT aren't exactly exciting, they are more refined. Meanwhile, the warbling five-cylinder unit in the TT RS sounds simply fabulous by comparison, while the parping V6s and V8s in the F-Type also trumpet the kind of noises that sports car fans will adore. Both gearboxes are close to perfect, though. The standard six-speed manual has one of the sweetest shift actions you’ll find on any car and the auto is equally adept and shifts even more quickly, although it does rob you of a little involvement.